This image was created by Kevin Rothrock using Vladimir Putin’s official portrait by the Russian Presidential Press and Information Office, 2006, CC 3.0, via Global Voices Online. The Russian Association for Electronic Communications (RAEC), which participated in the Culture Ministry’s working group [ru] on the anti-piracy legislation, has alsocriticized [ru] the law’s lack of consideration for possible fair use of copyrighted materials. Additionally, the RAEC protests, the law creates circumstances wherein ISPs must take provisional measures before copyright holders have filed a formal claim with the courts. 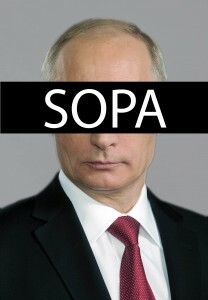 Many opponents of the Russian SOPA cite this aspect of the law as an example of extrajudicial censorship. The reality of the law’s provisions is more complicated. 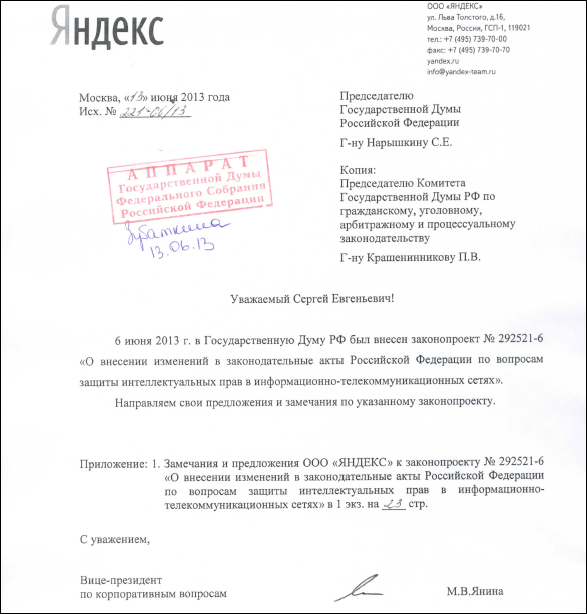 What about a Russian DMCA? This post was written by Kevin Rothrock and originally appeared at Global Voices Online. It is republished under a Creative Commons license. Kevin Rothrock, Global Voices Online.